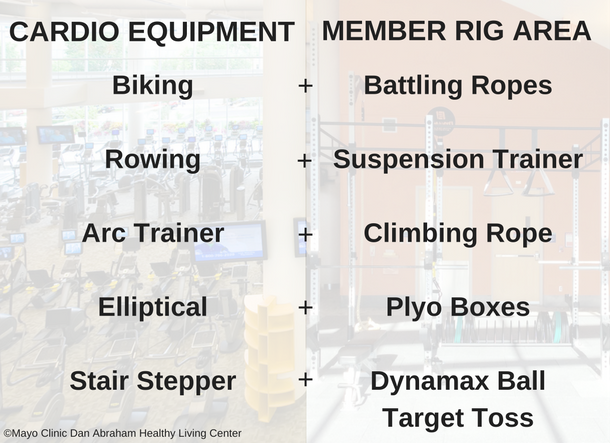 We are switching it up a little this month to give you workout ideas using our cardio equipment and equipment found in the member rig area. These ideas were paired together to expose you to equipment you may not use on a regular basis. Choose your own intensity level and duration. If you have questions, find a Health & Wellness Coach on floor coverage. Click for more workout ideas.